No doubt, New York City is one of the top destinations for business travels in the United States. Hundreds of thousands of businessmen and women travel to and from the city on a daily basis for meetings and corporate events. Now when you are in New York City, there is a high chance that you have a busy schedule and you might not have so much time to explore the city. Well, you can make good use of the little time you have with our Limousine Service in New York to explore the city. Really, you can’t come to NYC without taking out time to check out the amazing attractions that the city has to offer. New York City is fully packed with amazing experiences, stunning views, and mouthwatering delicacies that will make your trip to the city memorable. You really don’t have to worry even if you don’t know the best places to visit; that is why we are in business. Our chauffeur-driven Best Limo Service NYC is available to take you to the various destinations. So, when you are in NYC next time for business and you want to take some time out to explore the city, we will be delighted to do the honor. Here, we have highlighted the top things to do in NYC with our limousine service NYC when next you are in town for business. When you visit New York City for business, it is imperative to find time to explore some of the landmarks in the city, of which the Rockefeller Center is one of. The Rockefeller Center, an opera house, is the dream of John D. Rockefeller, Jr. This destination is a beautiful show of Art Décor architecture as well as elegant engineering, art, and sturdy business intelligence. Located at 30 Rockefeller Plaza, New York, NY 10112, USA, this destination is one of the top places to visit in New York. If you can squeeze some time out of your busy schedule, you can participate in one of the art and architecture tours that are offered on a daily basis. You may also want to consider taking a trip to explore the Top of the Rock. You will love the stunning views from the top of Rockefeller Center, whether during the day or night. To get you there in luxury, class, and safety, our professional chauffeur will be available with our Stretch Limo Service NYC. 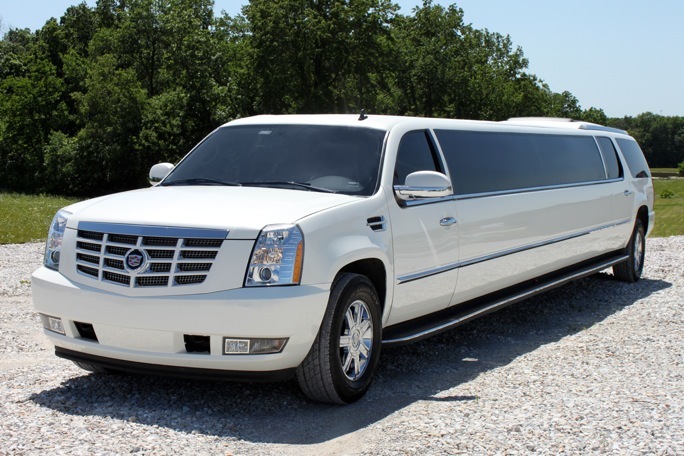 You also have the opportunity to choose the brand and model of limo you want for your tour of the city. If you love art and performance, taking a trip to experience this exceptional New York display is a great idea. Really, it is quite difficult to explain what the Sleep No More concept is all about but it focuses on the interactive re-enacting of Shakespeare’s Macbeth work of art. The re-enactment takes place at a well-established and specially created sequence of diverse scenarios in a dedicated building located in Chelsea. The performances range from reading personal letters in the bedroom of Lady Macbeth’s to exploring abandoned hotel lobby. Really, experiencing Sleep No More is a theater practice like you have never seen before. We offer affordable limo ride NY to this destination at any time of the day. We will recommend you dress comfortably, especially in a comfortable pair of shoes, as you journey around with the actors to unravel the scenes. After enjoying the show, you can also take a moment to experience the 1930-era lounge with its complete cabaret band and singer. This destination is situated at 530 W 27th St, New York, NY 10001-5506, USA. When it comes to your transportation arrangement to this destination, our cheap Limo Service NYC is the perfect choice to make. You won’t have to spend a fortune to enjoy the beautiful things that the city has to offer. We are not talking about just any library, but the real main branch of the New York City Public Library. Located at the Fifth Avenue and W 42nd St, New York, NY 10018, USA, this major library is called Stephen A. Schwarzman Building. The large Beaux Art building is the home to the library’s social sciences and humanities collections, as well as a wealth of children collections. There are over 15 million items that you can explore in this building, from Japanese scrolls to baseball cards. If you are not familiar with the destination, you don’t have to worry. You can engage our hourly limo rental NYC to take care of your transportation to the destination and we assure you of an experience like none other. This might sound a bit childish but the fact is that taking in a magic show is one of the chicest things to do in New York City. You can rest assured that this is not just any magic show but the Steve Cohen’s Chamber Magic. It is an exclusive presentation for small groups, which enables you to experience some compelling and wowed illusions within a very close range. The magic show usually takes place in a stylish suite designed for intimate experience at Waldorf Astoria Towers, 455 Madison Ave, New York, NY 10022-6845, USA. Cohen, popularly called the Millionaires Magician, performs some of the most unbelievable magic that will leave you speechless. If you would love to experience one of Cohen’s magic, you might want to plan and purchase the tickets ahead because the tickets usually sell out fast. When it comes to your transportation arrangement, you have no reason to worry. Call us for your Paris Limo Service New York City and our chauffeur will be there with you all the way. There are amazing things you can do in New York City for pleasure, even if you are in the city for business. It doesn’t matter if you are not familiar with the city. Our professional chauffeur will be delighted to take you to your destination of choice. Call us now to request for our Limo Prices NYC. We assure you of an amazing experience during your next visit to NYC with our Limo Service NYC.